Thread: When a 300 Limited look like a 300S. 4. Replaced all factory speakers. 7. Replaced OEM 17" wheels with 19" rims. 8. Blacked out all chome. Last edited by caddydaddy46; 07-05-2018 at 08:19 AM. I want foglights on my 2018. Where'd you get them and did you have to have the dealer do anything or was it a plug and play? 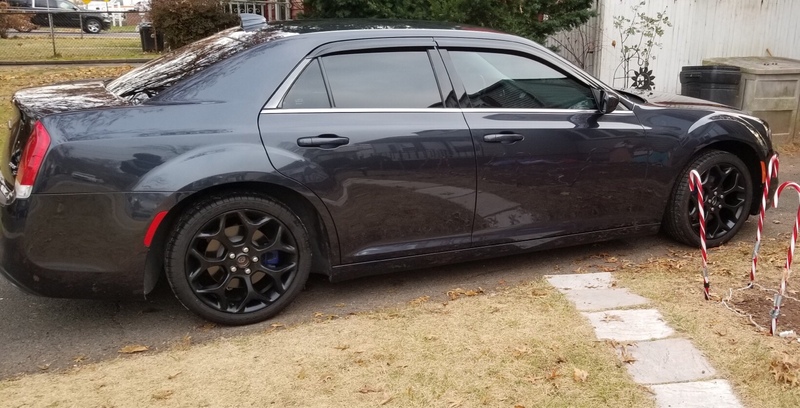 2018 Chrysler 300 Touring with Sport Appearance Package. Looks good, was it cheaper to just upgrade then buy a 300s? 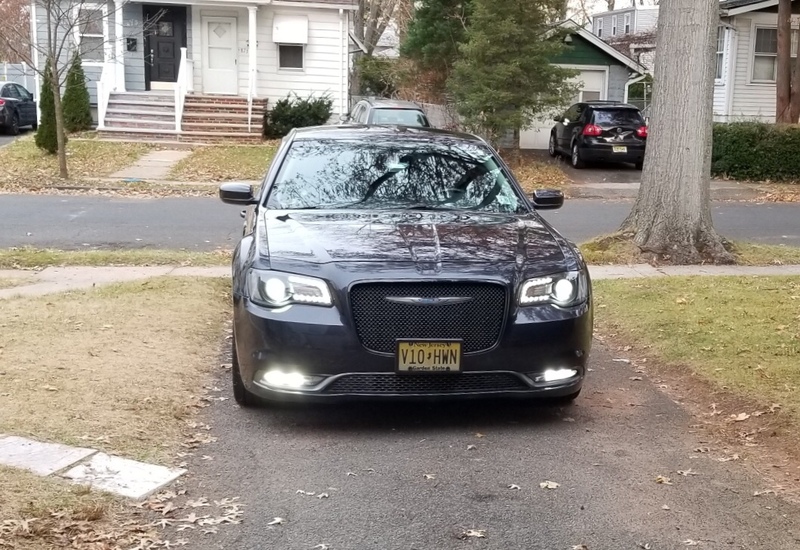 My fog lights were purchased off eBay. You would need to buy lamps and trim housing that attaches lamps to bumper. To get around having to go thru firewall I bought a remote wiring harness. You can see the remote in the photo of my steering wheel. It is mounted to the left of wheel. It is just Velcro’d with double stick tape. The harness is pretty cool. It allows me the flash the fog lights in about five different patterns. I got the 2016 Limited as a 14,000 mile rental. Got it for a good price. But it was just so plain I couldn’t stand it. I didn’t spend a tremendous amount of money for what I have done to the car. I will list the cost of each upgrade in my first post. Saved money by doing all installs myself. Last edited by caddydaddy46; 06-30-2018 at 06:16 PM. I have to disagree on the Beats sub though. I like bass and the Beats sub in my 300 coupled with the rest of the BA system speakers provides awesome bass for its size. It's not going to punch out your kidneys but it has a real solid bottom end. The Beats Audio is a "system" in which the components were engineered to provide a specific sound and if you use elements of that system with other components that are not designed to work together, it's not going to perform in the same way. Are you using a Line Out Converter or some other form of bass management to tailor the sub's output and crossover with the rest of the system? Is it possible you're having phase issues that are cancelling some of your bass? So how much do you have in mods wise for the look? What did you use to black the trim, and hows it holding up?